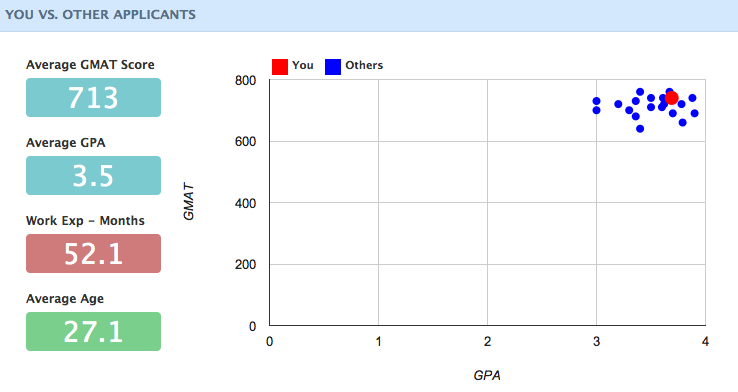 I am on the low end of the females that got accepted to Stanford, not so great news. I won’t be too disheartened though, since the sample size is pretty small. A lot of the ladies rejected from Stanford have similar stats. Sure there are a lot of ladies with lesser stats that got rejected, but there are at least a few with the same, similar or better. Not feeling so great about my chances of Stanford – but hey, it won’t stop me from going up to bat! 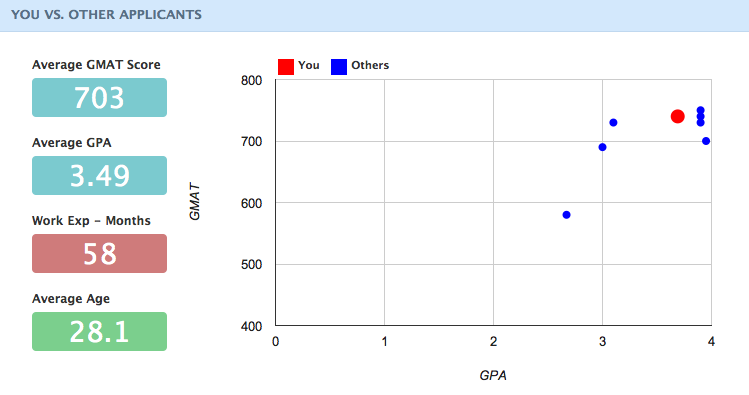 This looks pretty good too..although there are three accepts that have a higher GPA than I do by probably .2 points. That could be a bad sign for my chances. 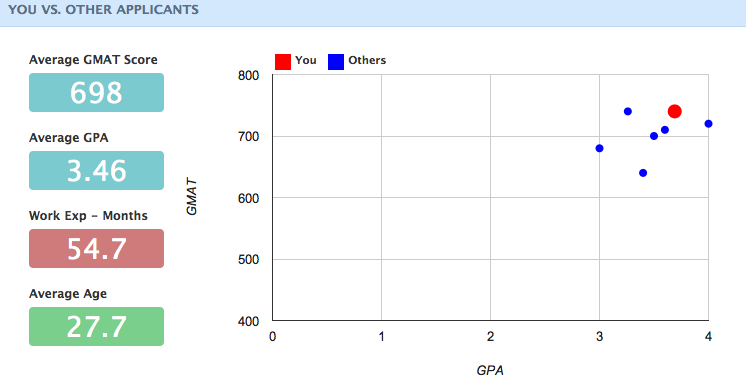 I think the outlier with the less than 600 GMAT and less than 3.0 GPA is a little suspicious.. Okay. This makes me feel better. 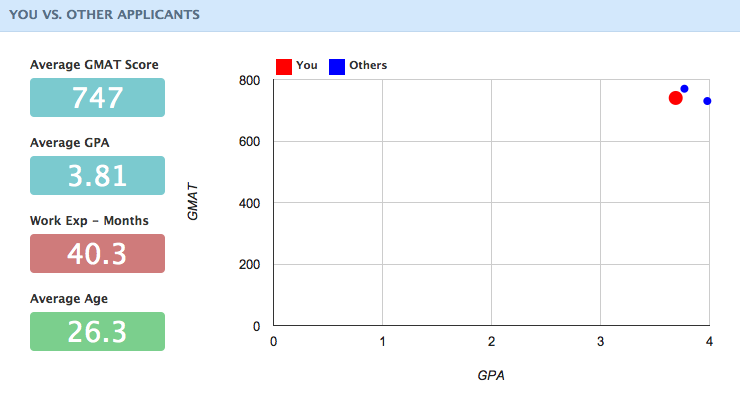 My stats seem like they are higher than everyone who was rejected by Columbia. A little more confident for Columbia. New York here I come? Of course, stats are not everything – but they are the piece of the pie that helps someone look at your application with more interest. They are a filter for the adcoms to take your application seriously. Sure people get into great schools with under 700 GMATs and not having undergraduate academic honors, but that is an uphill climb. I would rather have the stats under my belt and look like people who got accepted and have the time to really massage my essays, position my work experience to be as attractive as possible and be able to supplement my extra-curriculars where needed. Hopefully if make the effort in these areas, my application will be well rounded enough to reach my goal.